Sergei Nikolayevich Ignashevich was born in 14 July, 1979. He was born in Moscow, Soviet Union, Russia. He is Russian by his nationality. He is a Professional Russian football player where he plays his role as a central defender. He plays for CSKA Moscow. He is considered as one of the skilled player of Russia. His full name is Sergei Nikolayevich Ignashevich. He is the son of Nikolay and Raisa Ignashevich. Sergei Ignashevich started his career playing for Lokomotiv Moscow where he won Russian Premier League titles. Along with this, he also won the 2005 UEFA Final Cup. 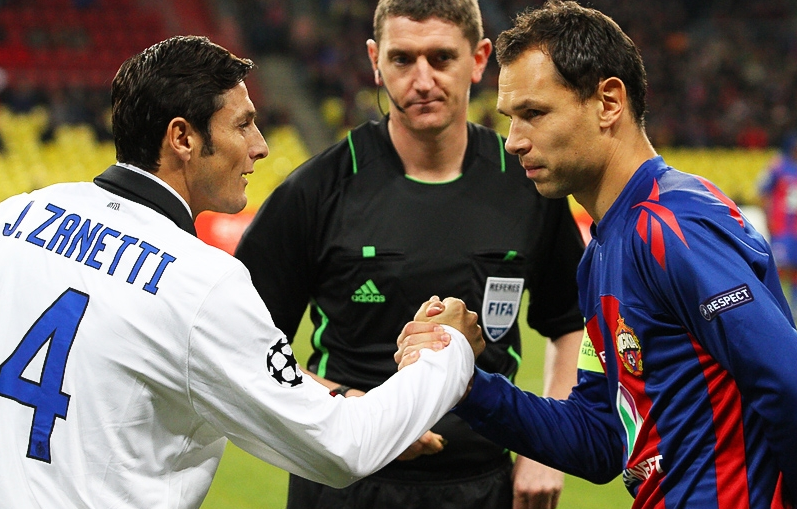 In 2002, he made his international debut and was selected in the squad as well as for the 2014 FIFA World Cup. He made his 110th international appearance on 8 September 2015. As well as he became the most capped player in Russia's Team history. Again, he made his 114th appearance on 17 November 2015 which made him the most capped Russian player for any national team. He set his new record for most game played in the competition by playing his 457th game in the Russian Premier League on 2nd April 2017 where he stands at 479 games. In 2001, Ignashevich joined Lokomotiv Moscow club. The first season with his capital club, the defender was part of the team which won the Russian Cup. And again after a year later, his club Lokomotiv won the Russian league title. Within the 12 years with his club, he has won 2005,2006, 2013 league titles, 2005,2006, 2008, 2009 and 2013 Russians cups and 2004-2005 UEFA Cup. Due to the revealed of the presence of the prohibited substance after UEFA Champions League match at Manchester United on 2009, he was provisionally suspended. Later, it was revealed that they had taken the cold medicine. Thus, he was suspended for one game. 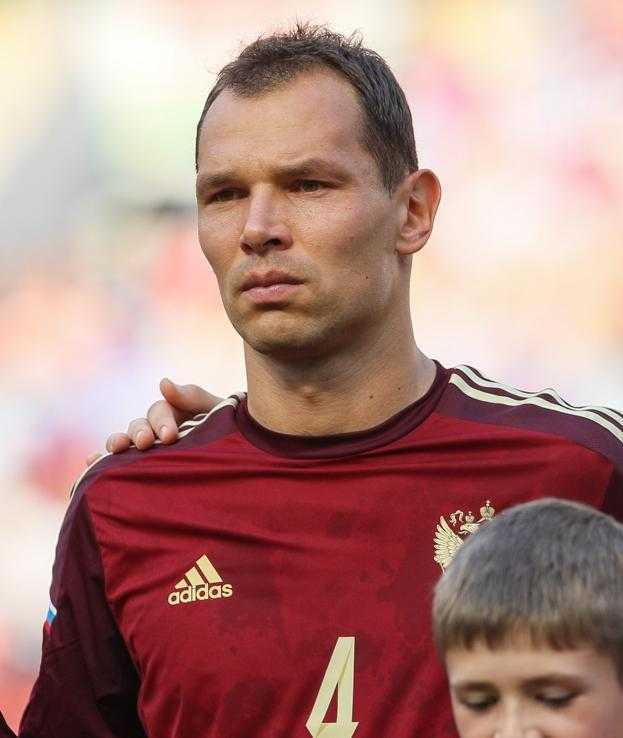 Sergei Ignashevich has made his debut for his national team against Sweden in 1-1 tie in 2002. He started all ten of teams UEFA Euro cup 2004, qualifying matches where he scored three times. Due to injury, he missed the tournament finals. After the recovery, he appeared for Russia at 2008 and 2012 UEFA European Championship which helped the team to the semi-finals. He was included in the FIFA World cup 2014 squad. There, he made his FIFA debut against South Korea. Sergei Ignashevich came out of the international retirement prior to the 2018 FIFA World cup. He was called on 14 may 2018 to replace the injured player, Ruslan Kambolov. Due to this, he was included in the Squad of World Cup 2018. He has received great honor from his club i.e. Lokomotiv Moscow, CSKA as well as from international country. Along with his team mates, he was also awarded 2005 UEFA Cup, 2006, 2012-2014, 2015-2016, Russian super cup and so on. He was awarded as bronze medalist in 2008 of UEFA European Football Championship. Sergei Ignashevich is married to Natalia Ignashevich and has three children.